Rancho Dominguez, Calif.-based Tatung Company of America yesterday announced the the formation of Riptide Logistics Solutions. Riptide offers world-class Third Party Logistics (“3PL”) Services for the technology sector, combining parent company Tatung’s logistics facilities, management and experienced teams to provide complete solutions in both outbound and reverse logistics. Riptide provides its customers with complete solutions for faster time-to-market, reduced cost, simplified inventory management, rapid warranty service time and enhanced end-user satisfaction. Outbound logistics capabilities include consolidation, warehousing, kitting, bundling and RFID-readiness. RANCHO DOMINGUEZ, Calif., Aug. 31 /PRNewswire/ – Tatung Company of America, Inc. (“TUS”) announces the formation of Riptide Logistics Solutions (“Riptide”) to offer world-class Third Party Logistics (“3PL”) Services for the technology sector. Riptide will combine TUS’ logistics facilities, management and experienced teams to provide complete solutions in both outbound and reverse logistics. Although TUS developed its extensive expertise in logistics in conjunction with product manufacturing services for long-term customers, Riptide will operate independently of OEM/ODM activities as a pure 3PL solutions company. Riptide provides its customers with complete solutions for faster time-to-market, reduced cost, simplified inventory management, rapid warranty service time and enhanced end-user satisfaction. Outbound logistics capabilities include consolidation, warehousing, kitting, bundling and RFID-readiness. Reverse logistics services include returns sorting, refurbishment, warranty repair, service parts fulfillment, advance exchange and asset recovery/disposition. Riptide uses advanced warehouse management systems to enhance speed, accuracy, real-time visibility and customer service. Riptide’s information technology capabilities allow establishment of automated links to our customers’ data systems. 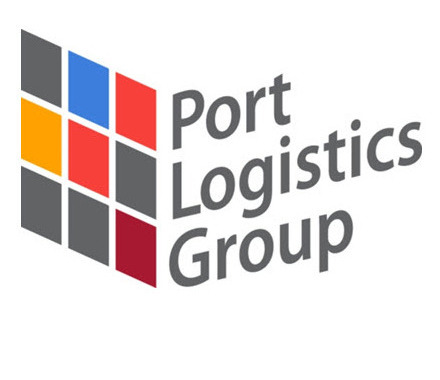 Our logistics management team has many years of successful experience implementing delivery solutions for leading computer and consumer electronics customers. Riptide operates a dedicated 150K square foot logistics facility in Rancho Dominguez, California optimally located in the Southern California port transportation hub. We also have another 150K square foot warehouse facility in Marietta, Georgia to serve the East Coast, and are currently considering the establishment of additional hubs in the U.S. to further enhance our capabilities. Riptide welcomes inquiries from manufacturers, retailers or technology service companies interested in assistance in creating fast, cost effective logistics systems to meet and exceed their customer requirements. For further information, please contact us at [email protected] or visit http://www.riptidelogisticssolutions.com/.